Today on homify, we introduce a charming new cottage that's really drawing attention and gossip from everyone in the village. From a distance most would mistake the home to be one of the many traditional houses found in the area, however, once they would soon find out that there's more to this cottage than meets the eye. The homes traditional form helps the home blend in perfectly amongst its picturesque village surrounds, but inside the home accommodates a setting that boasts amazing features and finishes that are undoubtedly modern. 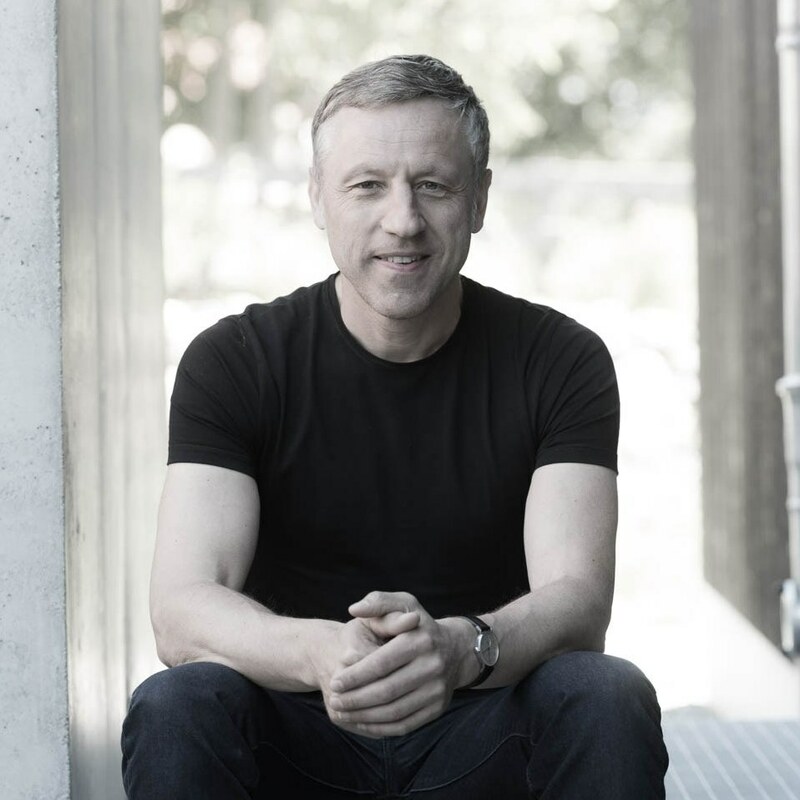 You'll soon grow to appreciate the creative flair and skilful eye of the architecture and interior design team from Moehring Architekten. Scroll down and see it all for yourself. 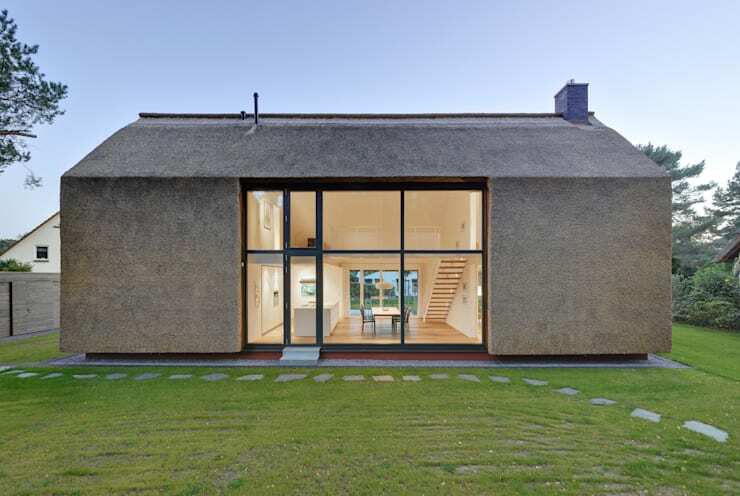 The rear exterior takes on a contrasting form to the front and is defined by a huge wall of glazing that takes up almost half the length of the home. From this vantage point through the windows we're provided with a small taster as to how the interiors are designed. Internally, the home expresses itself throughout a generous and open floor plan that's so in-line with modern home design. Just sit back and admire the setting created by the hallow nature of the communal domain. The wall of glazing and full-height ceilings work in combination to really allow in as much light as possible. Reflective surfaces are a great way to maximise natural light, and this has been utilised here with glossy white paint for the walls and ceiling surfaces, shining kitchen worktops, along with softly stained wooden flooring. 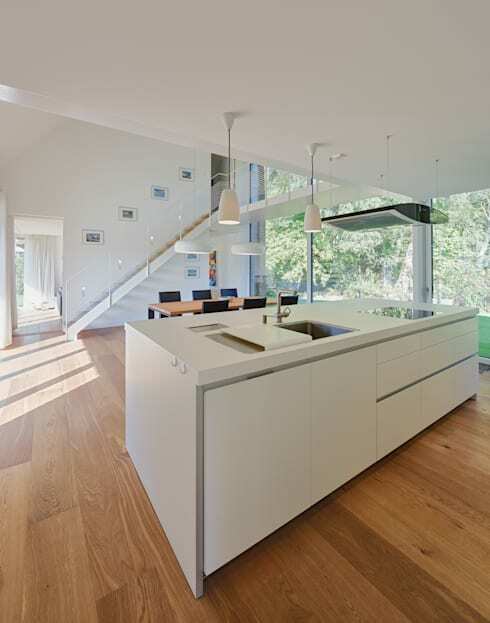 The huge kitchen has been designed in a minimalist style with white shade taking priority throughout. The kitchen island sits as the show-piece of the room and has a genuine minimalist feel to it. The kitchens seamless and clean look of the cabinetry makes the room appear undoubtedly modern. 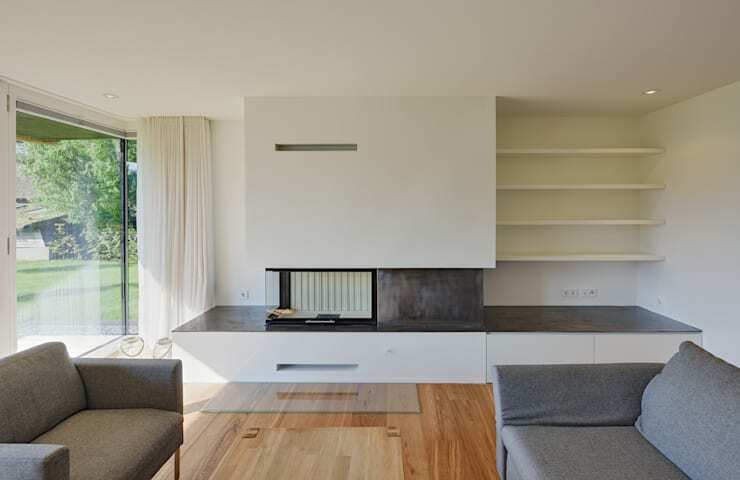 The minimalist style living room has been fitted with an ultra-modern fireplace that not only ensures those inside always remain comfortable, but also gives the room an exclusive feel. Furnishing remains simple here as to not destract from the stunning views available through the full height windows. 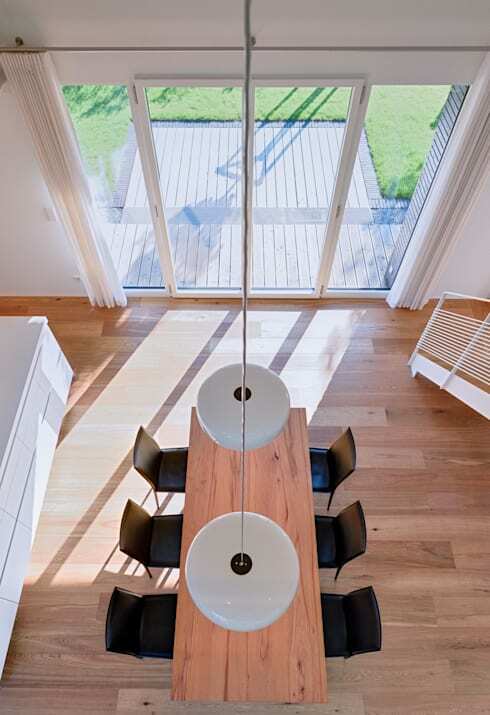 Looking downwards above the dining table we can begin to appreciate the hallow form of the home. The white walls and ceiling keep the room feeling fresh and modern, and the simple colour scheme allows for the introduction of vibrant statement pieces, such as the shapely hanging lights. The choice of timber dining table give the room a homely, rustic feel, yet the liberal choice of contemporary seating keeps the area feeling refreshingly modern. Upstairs, the en suite layout makes the most of available space, with the choices of items being well-balanced in terms of scale and style. A cantilevered toilet and sink are both practical and stylish, while also ensuring the rooms isn't impeded by bulky items. The room doesn't feel sparse, thanks to the warm woody tones present in the design of the washing area. 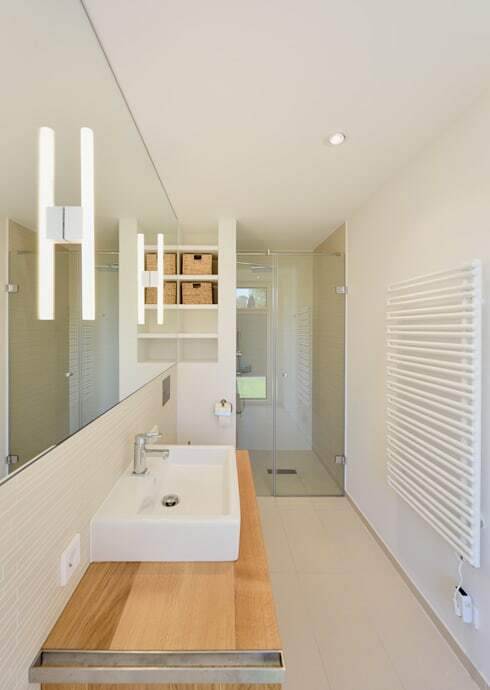 Also, the walk-in shower unit with transparent glass surfaces is a good choice for a room of this size. Calm, serene and refreshing, the attached master bedroom uses earthy tones and monochrome shaded fabrics to create a space that's both beautiful and calming. The large north facing window lets in scores of natural light, which alongside the white walls and soft furnishings, keep the room feeling bright and fresh. 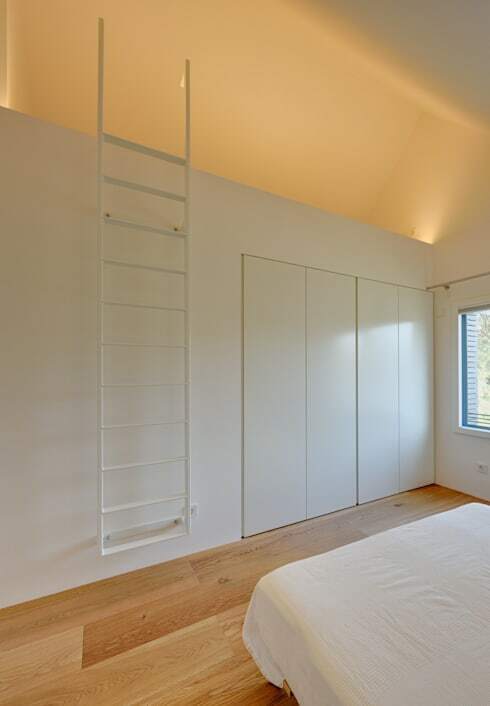 Overall, the bedroom is a perfect space for the owners to relax and enjoy a peaceful nights rest. Are you searching for more inspiration of this style? 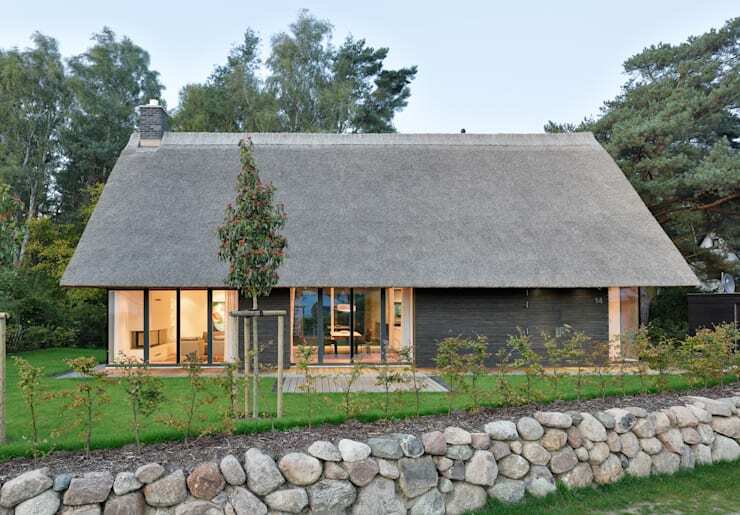 Click the following link for another Ideabook: The Superb Small Family Home. Did you like the home’s modern interior or would you have preferred something more traditional? Share your thoughts with us!